State of the Art makeup brushes brought to you by Royal And Langnickel. 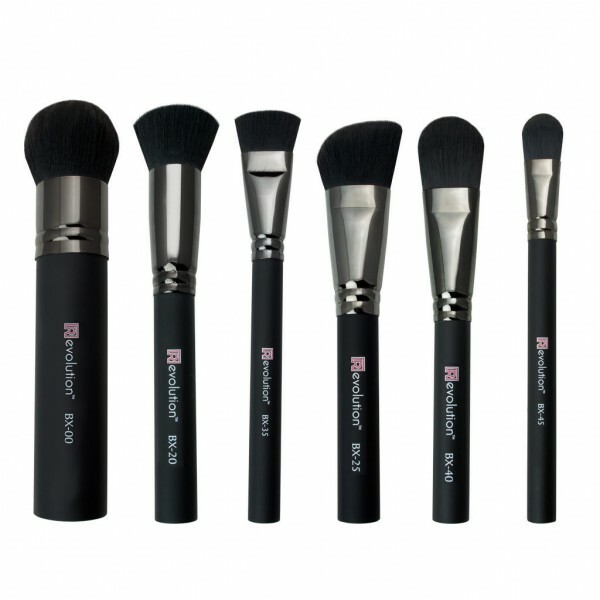 Royal and Langnickle makeup brushes are famous in the makeup industry. The Revolution Brushes are professional grade brushes designed by the Emmy award winning Make-Up Artist Kevin James Bennett. Revolution takes makeup application to the next level. Each mono-filament features a micro studded surface that allows for precise pick up, release, and blending of powder or liquid makeup. These breakthrough brushes will leave your face with an unrivaled, flawless finish. The watertight acrylic handle means your brushes are made to last and repetitive cleaning is harmless. The perfect kit for achieving a flawless, high-definition complexion. This professional quality complexion brush kit features all 6 must-have brushes to create a truly perfect finish. 100% Vegan , Synthetic Filament that mimics the feel of the finest natural hair State of..